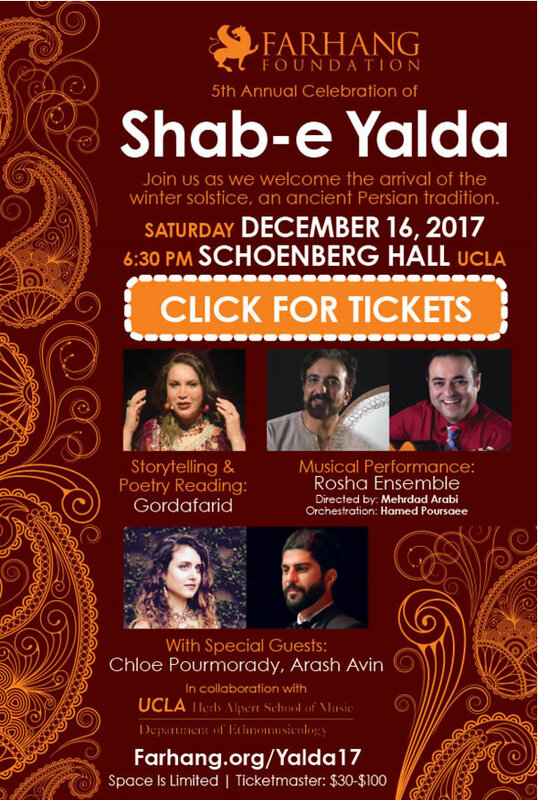 Farhang Foundation presents Celebration of Shab-e Yalda . with Gordafarid, Rosha Ensemble, With Special Guests: Arash Avin and Chloe Pourmorady . Schoenberg Hall - UCLA, Los Angeles, CA. information: 310-666-1546 .